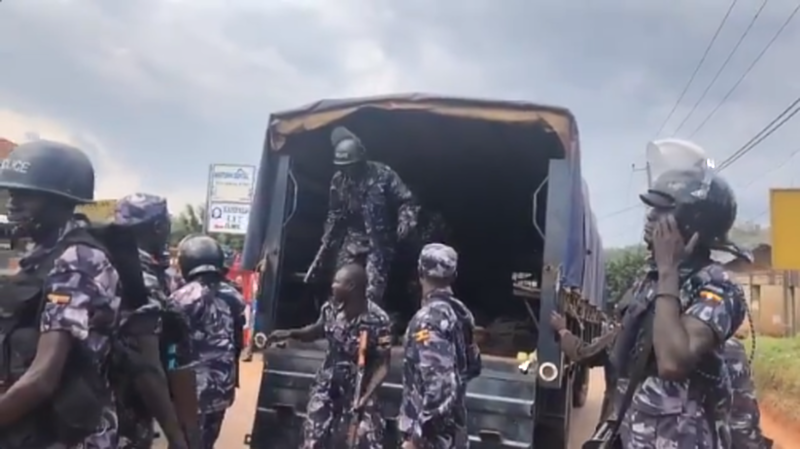 KAMPALA – Several more city residents were on Friday arrested by police as protests over the detention and torture of Kyadondo East MP, Robert Kyagulanyi alias Bobi Wine broke out again in Kamwokya, where Bobi Wine has a studio, and in his residence in Magere, Gayaza, Wakiso District. In Kamwokya, a city suburb, the chaos that broke out on Thursday, leading to the arrest of about 15 protesters, resumed again on Friday morning when a group of youth blocked the Wandegeya-Ntinda road with logs which they set alight. However, police were on hand to suppress it quickly and normalcy had returned by midday. However, the chaos later on Friday afternoon broke in parts of Wampeewo, Magere and Mile 6 on Gayaza-Kasangati road also staged another protest, putting burning tyres and sacks of garbage on the road, which paralysed traffic for a couple of hours. The residents were protesting after receiving news that their MP Bobi Wine was badly beaten in army detention. However, police immediately queried the protest after using tear gas and live bullets which they shot in the air, arresting several demonstrators in the process. Kampala Metropolitan Police spokesperson, Luke Owoyesigyire confirmed the arrests. “We have arrested more suspects and we are going to charge them with illegal demonstrations. Our offices are still on the ground to contain the situation,” he said. Bobi Wine and a host of opposition MPs were arrested on Monday in Arua Municipality where they had gone to rally support for Independent candidate Kassiano Wadri. Bobi Wine was on Thursday charged in the General Court Martial with two accounts of possession of firearms while his colleagues: MPs Gerald Karuhanga (Ntungamo Municipality), Mr Paul Mwiru (Jinja East), Mr Kassiano Wadri (Arua Municipality MP-elect), Mike Mabikke (ex-MP) and 29 others were charged with treason in Guru and remanded up to August 30. 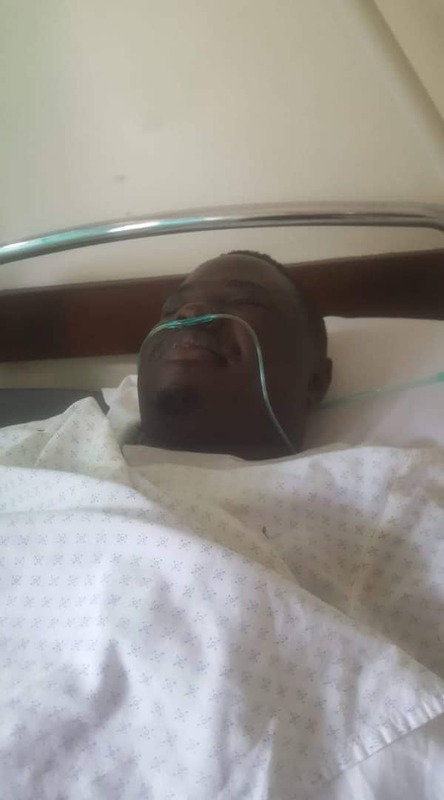 Mr Zaake was not charged but was later dumped at Lubaga Hospital on Thursday night by the military. MPs, lawyers, relatives and friends who paid courtesy to Mr Bobi Wine and Mr Zaake said they were in critical condition because of torture.